McKay ultimately learned how to reach his son. In this book he provides extraordinary revelations — direct from Jordan — about the soul’s life after death, how karma works, why we incarnate, why there is so much pain in the world, the single force that connects us, and our future as souls. Unlike many books about after-death communication, near-death experiences, and past-life memories, this is a book for those who do not believe yet yearn to know what happens after death. 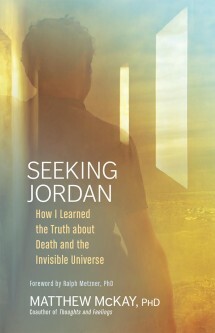 In addition to being riveting reading, Seeking Jordan is a unique heart-, soul-, and mind-stirring reflection on the issues each of us will ultimately face.